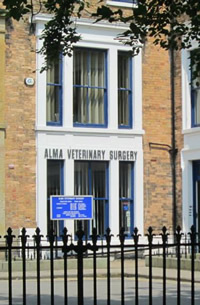 A veterinary practice has existed in Alma Square for at least 60 years. Today Alma Veterinary Surgery serves the pet owning community in the area around Scarborough and Filey. We are members of International Cat Care, enabling access for both ourselves and our clients to the latest cat care advice, and vets within the practice are members of the British Small Animal Veterinary Association. Reduced cost neutering is sometimes available for cats and dogs where clients qualify for assistance from the RSPCA or the Dogs Trust. We are proud of our close links with the local RSPCA, and in association with them we find new homes for over 150 cats each year. Presently Alma Veterinary Surgery has 2 full time experienced veterinary surgeons, and one part time experienced veterinary surgeon, 4 members of the nursing team, a full time practice manager and other support staff. We have a private car park for surgery visits, and in addition home visits can be arranged where necessary. 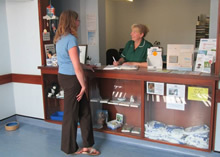 We are committed to friendly and personal care, and you can often request to see a particular veterinary surgeon. Our modern medical and surgical facilities provide the highest level of service and care in a welcoming environment. Please ask at any time for help or advice.